Sure there might be another open world game out you've been seeing dominating your friends list, but there's a problem. There's no way to play co-op in Grand Theft Auto V...yet. There's a bigger problem too, GTA doesn't have awesome super powers or a dubstep gun. It's sort of a no contest really. Would you rather play tennis and hanglide or shoot some fools with sick beats while flying like Superman. So if you're a cool cat here's your chance to enter our giveaway for Saints Row IV courtesy of Deep Silver. We'll be choosing 10 lucky winners to win a copy of the game - five on PlayStation 3 and five on PC. We know you've been jealous of your friends using their superpowers in Stilwater, and we know that Saints Row IV is better in co-op (isn't everything?). So now's your chance to join in on the fray for free. 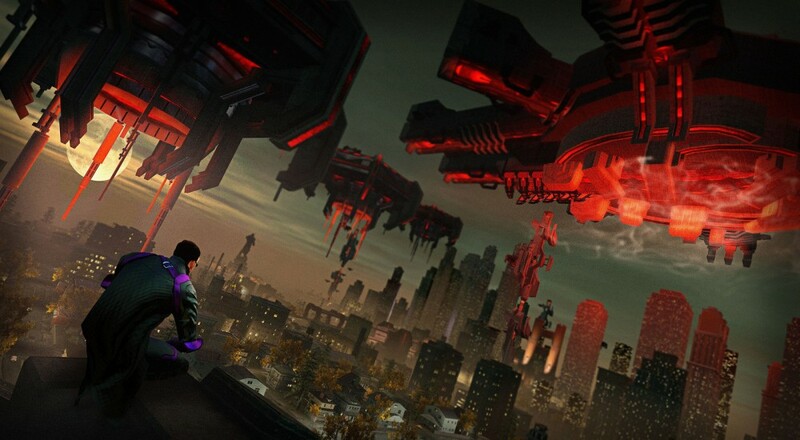 Simply leave a comment below, tell us which version of the game you'd like to enter for, and let us know what co-op activity you want to see in Saints Row IV. And so help me if you put anything like "Golfing" or "Badminton" you're automatically disqualified. The contest ends on Wednesday, September 25th at Midnight Eastern. Good luck!